Home Depot takes up to 30% off select gift ideas for its Mother's Day Sale. Shipping starts at $5.99, but orders of $45 or more qualify for free shipping. (In-store pickup may also be available.) Discounted items include furniture, small appliances, bed & bath items, decor, kitchen items, and gift baskets. Apple announced that it won't block third-party chargers for the new MacBook and its USB-C port. But will the cheaper options be worth it? If you've ever lost or broken your Apple MacBook charger, you know firsthand that replacing it can be a frustrating – and expensive — endeavor. Apple's patented MagSafe charger costs $79 to replace and has to be purchased through the Apple website or an Apple authorized retailer. But times are changing for Mac fans. 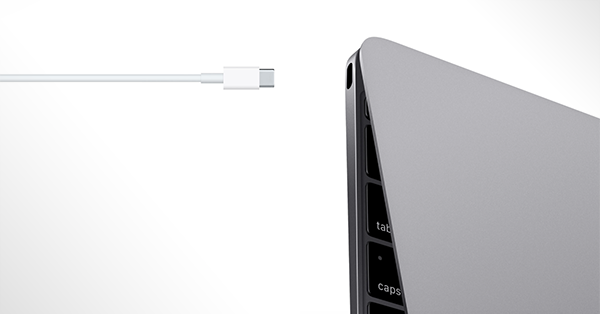 The new 12" MacBook will have a single port, meaning there isn't room for the old standby MagSafe charger to plug-in. Instead, owners can now use a USB-C multiport adapter for both charging devices and other accessories, according to 9To5Mac. The site also reports that Apple won't stand in the way of third party USB-C devices. Meaning Apple owners will have a load of options for what USB-C devices they buy. In fact, a load of options are already on the way. Belkin has revealed a USB 3.0 USB-C to USB-A adapter for $29.99 that could allow Belkin's other smaller USB chargers to work with the USB-C port on the new MacBook. Standard Belkin USB chargers start at $20, putting a Belkin workaround at $49.99. Google is also selling their own version. Originally intended for the new Chromebook Pixel, you can buy the Universal Type-C 60w Charger for $59.99 through the Google Store. It is good news for Apple owners who want to save some money if their MacBook charger ends up missing or broken, but opening up to the accessories world could have some potential downsides as well. For one, Apple's MagSafe charger had a few key features most Apple users could appreciate. The LED indicator light on the charger alternated between an amber color and green, letting users know at a glance when they'd reached a full charge and could break free from the outlet. The charger was also magnetically connected, a safety feature that allowed the charger to instantly release from the MacBook if the user tripped over the cord. So far it isn't certain which – if any – third party provider will offer similar features. And then there is the onslaught of suspiciously cheap chargers. Often, these chargers are produced cheaply in Southeast Asia and sold on third party websites like eBay or Amazon. No-name discount chargers are already popping up for sale on Amazon. While the devices can be had for a fraction of the cost of a licensed charger, the discount chargers may sometimes ignore safety requirements, break easily, or potentially damage the laptop. If such a charger damages the MacBook, it may also void an Apple warranty. Still, while sorting through a pile of charger manufacturers is a headache, it's a headache that Apple owners haven't had the option of doing until now. And many may be grateful for it, especially if they're prone to forgetting, losing, or breaking their chargers. What do you think, reader? Will you take the savings of a third-party charger, or stick with Apple's? Let us know in the comments below. VIDEO: Is $17K for an Apple Watch Ridiculous... or VERY Ridiculous? Angela Colley has covered everything from money saving technology to how the Mayans might affect your savings. She's appeared on publications like MainStreet and MSN Money. You can follow her on Twitter @angelancolley. I'd buy a mag-safe version of the USB-C cable from a reputable company like Belkin or Anker. Drive down the prices through competition and bring back the mag safe! People can complain all they want about the price of the MagSafe adapters and the fact that no one else makes them. But the technology is one of the greatest features ever on a laptop. Anyone who has worked in IT can tell you a significant number of laptops on this planet die for one reason: charging port damage or physical damage to the laptop after falling to the floor when someone trips on the power cord. That NEVER happens on MacBooks with MagSafe. Like everything Apple, you pay more and you get much more. I hope that anyone who buys one of the cheaply made Chinese knockoffs has good fire insurance.